No more wine wastage with this handy gadget! Great for preserving open wines and the indicator clicks when the vaccum is reached. 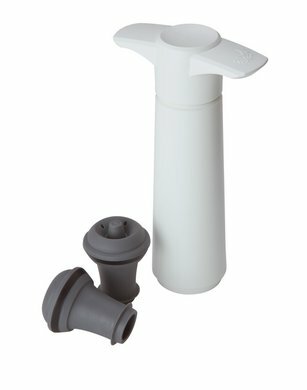 Place your Vacu Vin pump over the reusable stopper and pump to remove the oxygen from the bottle. You can then expect the bottle to last about a week. It could not be easier! Your wine will maintain its taste as the vacuum slows down the oxidation process which leads to a spoilt bottle.